Greetings, hunters! 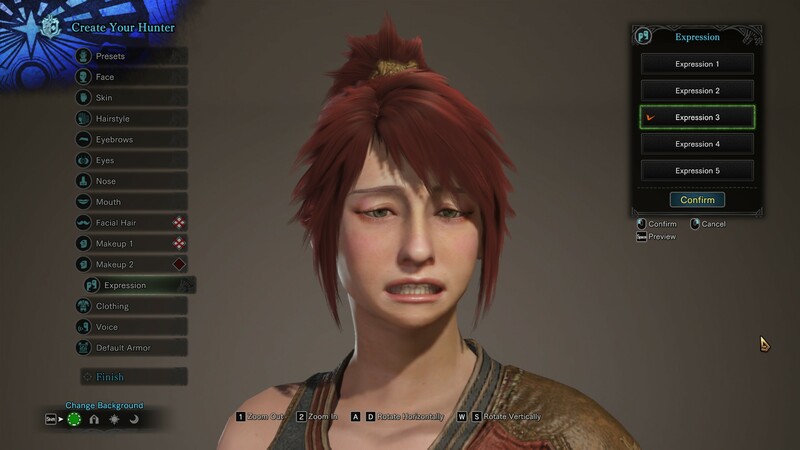 Dinosaur hat-making sim Monster Hunter: World is coming out on PC very soon (August 9, to be precise), and I’ve been doing some early tinkering with its various graphics settings. The good news first: if you were worried about the game being capped at 30fps like the console versions, you’ll be pleased to hear MHW has an uncapped frame rate option in its display settings, meaning the sky’s the theoretical limit if you’ve got a monitor with a lovely high refresh rate. The bad news? This game is an absolute beast and you’ll probably need at least two graphics cards stitched together with jagras hide in order to make it work at the very best graphics settings and resolutions. Whisper it, but it’s probably more monstrous than even Final Fantasy XV. Let’s see what my Nvidia GeForce GTX 1070Ti made of it, shall we? I’ll be doing a more thorough graphics card test with Monster Hunter: World in the vein of my FFXV graphics performance round-up very soon, but after Capcom announced you’d need at least an Nvidia GeForce GTX 1060 to just about do 30fps at 1920×1080, I thought I’d take my GTX 1070Ti out for a spin before I got down into the nitty gritty. At first, I was cautiously optimistic. When I finally got to the options menu, the game’s graphics settings had defaulted to Highest on 2560×1440, and for a while I was running around chopping up dinos at 60fps without a care in the world. Then I realised its dynamic resolution feature was turned on, which, irritatingly, you can’t actually turn off. This makes it rather tricky to get a proper reading on what any given graphics card can actually manage in MHW, but when I set it to prioritise resolution, the frame rate took an instant tumble right down to around 40fps. This was fine for the most part, but felt just a little too rough for my liking, especially after romping around at 60fps. Luckily, a few tweaks here and there (turning off the anti-aliasing definitely helped) managed to push it closer to a much more comfortable 45-50fps. Don’t think you’ll fare much better if you’ve got an Nvidia GeForce GTX 1080, though, as John’s also been playing some Monster Hunter: World at 2560×1440 today with this card and he’s been reporting similarly worrying performance issues. That’s not brilliant considering these are two of the best graphics cards money can buy right now, but I’ll admit that even Final Fantasy XV was a tough nut to crack at this resolution, so I dropped things down to 1920×1080 to see how that fared instead. An accurate representation of my face while writing this performance analysis. Naively, I set the frame rate to ‘uncapped’ and booted it up on Highest again. Sadly, I was still only looking at a maximum of 50fps in the game’s giant boat-like hub town, and somewhere between 40-45fps out in the wild. There were fleeting moments where the frame rate inched up to 60fps, but only when there wasn’t much happening onscreen – which, in a game like MHW, is pretty rare. Instead, I found Mid was the best setting for getting that silky smooth 60fps – but even with a 144Hz monitor at my disposal, I was still only scraping around 65-67fps, and that’s still only at 1920×1080! Even Final Fantasy XV produced better results than this at 1080p, so it’s not exactly looking good for anyone who doesn’t have a GTX 10-series card yet. Tagged with Capcom, frames frames frames, graphics card, graphics cards, Hardware, how much graphics does it have, specs, Monster Hunter: World.